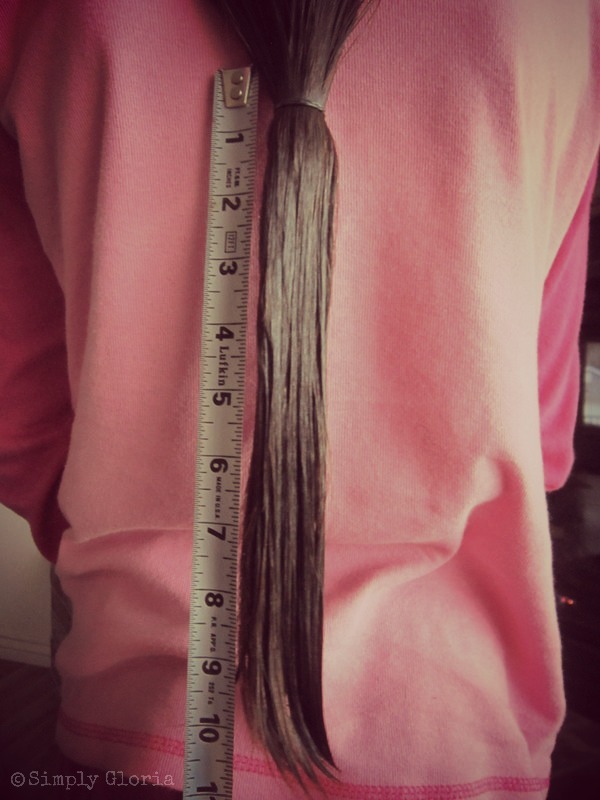 If you haven’t already heard of Locks of Love, it’s a public non-profit organization where we can donate hair. It is for the ages of 21 and younger. 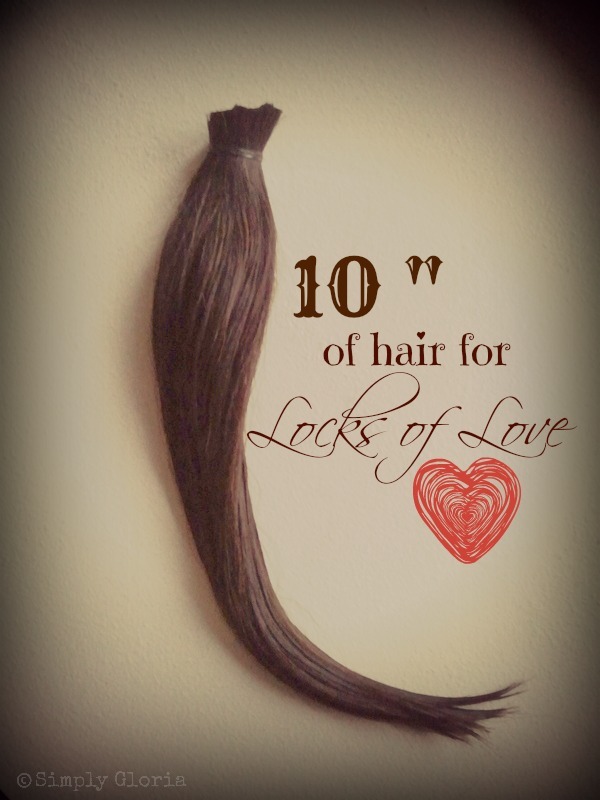 Locks of Love looks for the highest quality of hair. Then they are able to give the hair prostheses free of charge to the children. This gives the children a sense of self confidence, suffering from long-term medical hair loss. We all know that kids tease. And it can help restore some of the normalcy to their everyday lives that most of us take for granted. I have some very close friends and family that are going through some medical conditions. I wanted to help. I, myself, do not have enough of my own hair to cut. Locks of Love has some guidelines to follow. And one of them is a minimum of 10 inches. 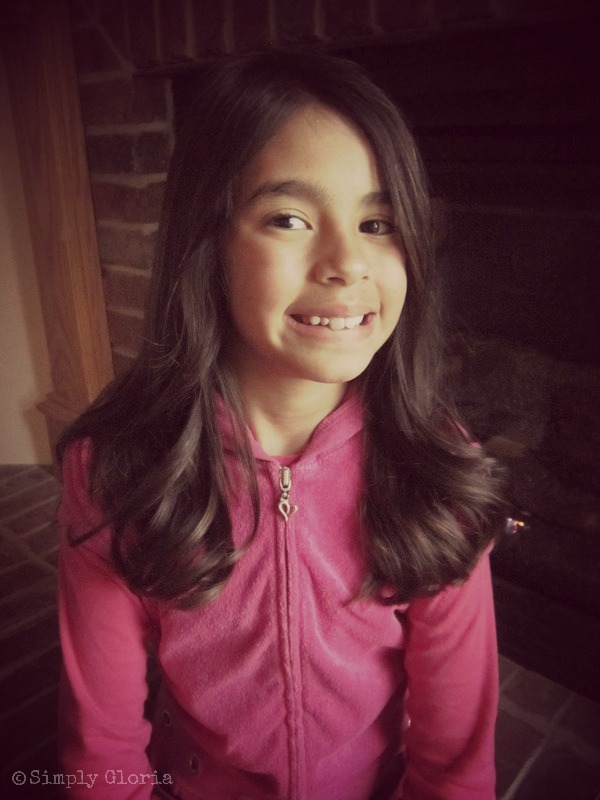 My (10 yr old) niece wanted to cut her hair. I am a hair dresser and have known of this organization for years. As you can see, she definitely has 10 inches to donate. She was super excited to donate her hair for some one that doesn’t have hair. I know my sister will absolutely love her daughters new haircut! Because, my niece LOVES it very much, and what she’s doing makes her feel good! Enjoy your Sunday…as today, I am enjoying my Lazy Sunday! 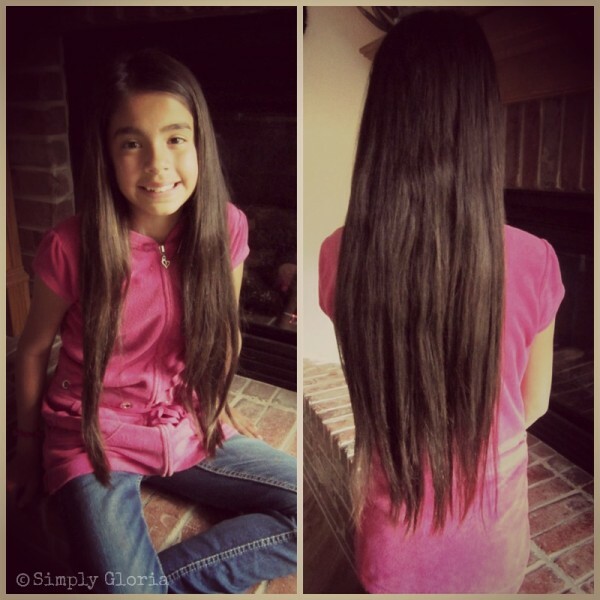 What an amzing little girl to want to donate her hair like this…and so beautiful. And way to go for helping make her aware of this program and for helping her see it through. What a gift she’s given! Thank you so much, Averie! She’s such a giving person…And I’m so proud of her. My hubs is doing the same thing soon. He is growing out his (virgin) blonde hair so it can be made into a wig for his mother. It’s already longer than mine! Hope you’re enjoying your Sunday!